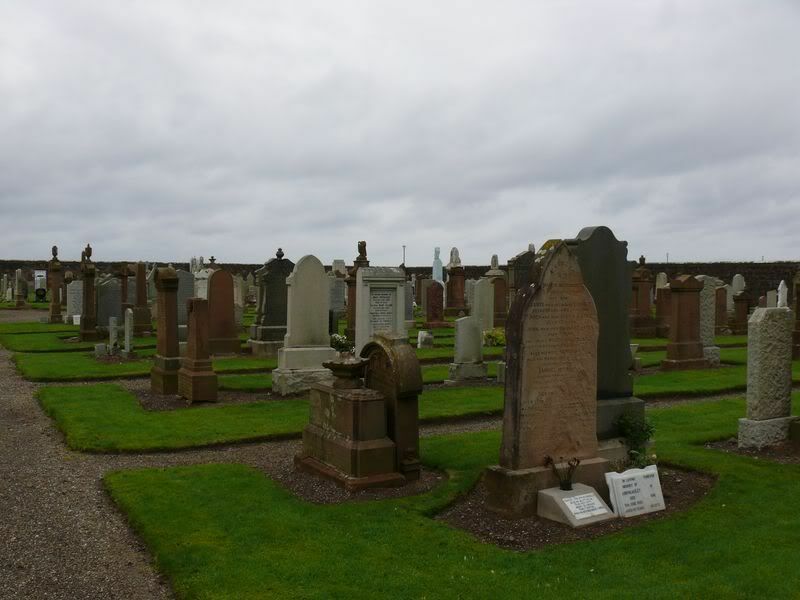 The cemetery is next to Stair Park in Girvan. Number of CWGC burials 41 (2 of which are unidentified) plus 4 foreign burials. The foreign burials are 2 Americans and 2 French. 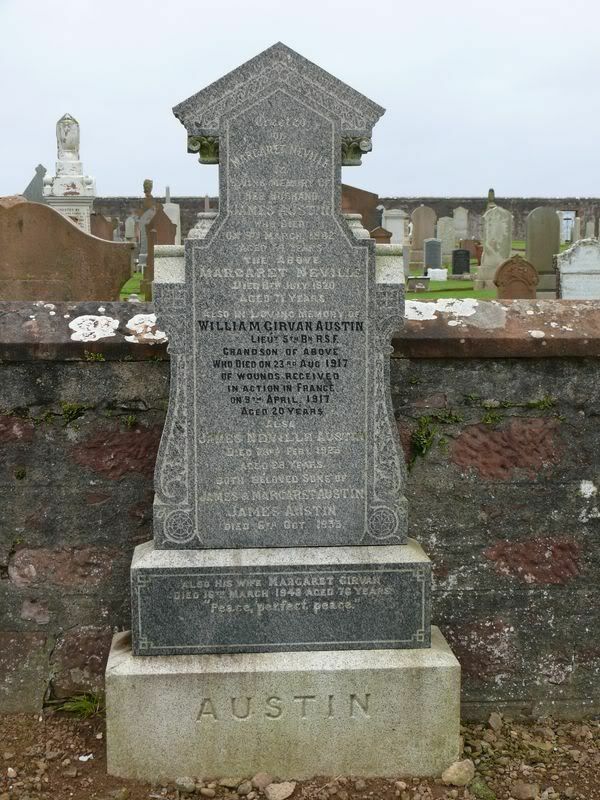 Additional information: Son of Mr. and Mrs. James Austin, of Ballochneil, Girvan. 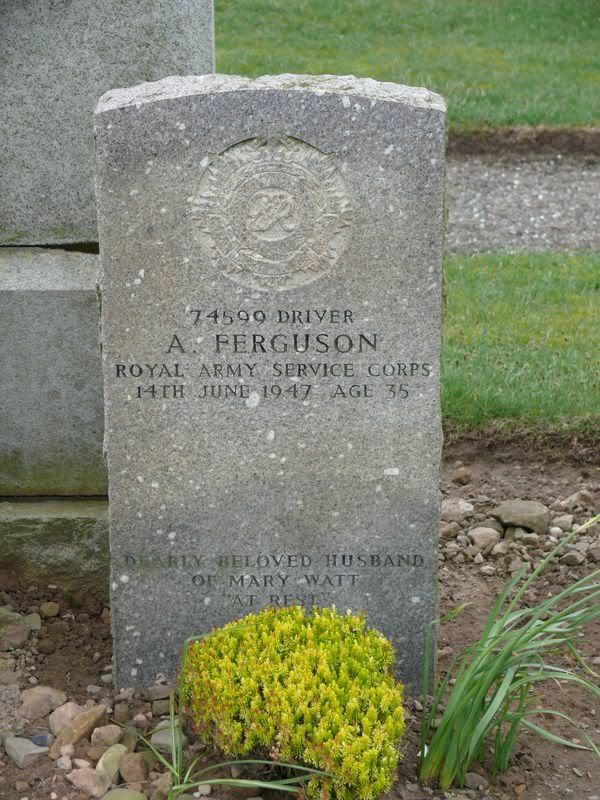 This is a private stone on a CWGC listed grave. 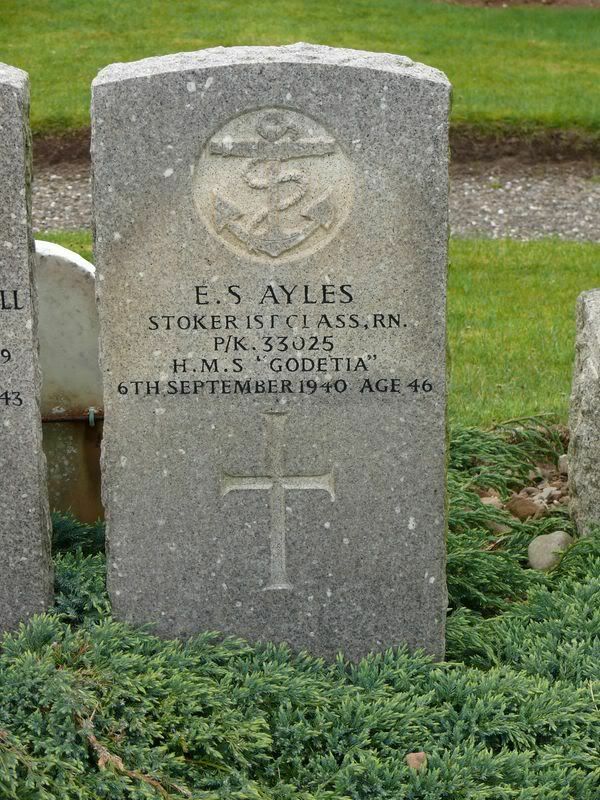 Additional information: Son of Fanny Ayles, of Winton, Bournemouth, Hampshire; husband of Maud Ayles. Grave/Memorial Reference: Sec. P. Joint grave 70. 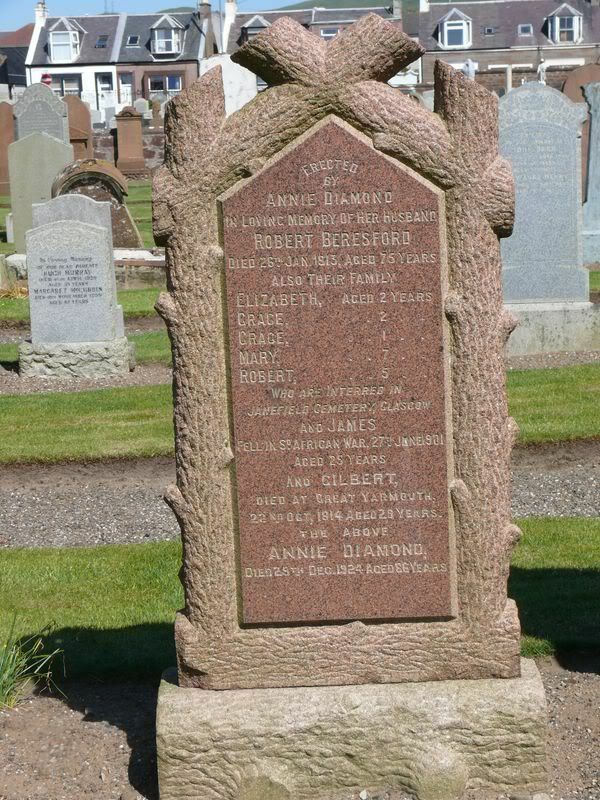 Additional information: Son of Gilbert and Annie Beresford, of 31, Viccarton St., Girvan. 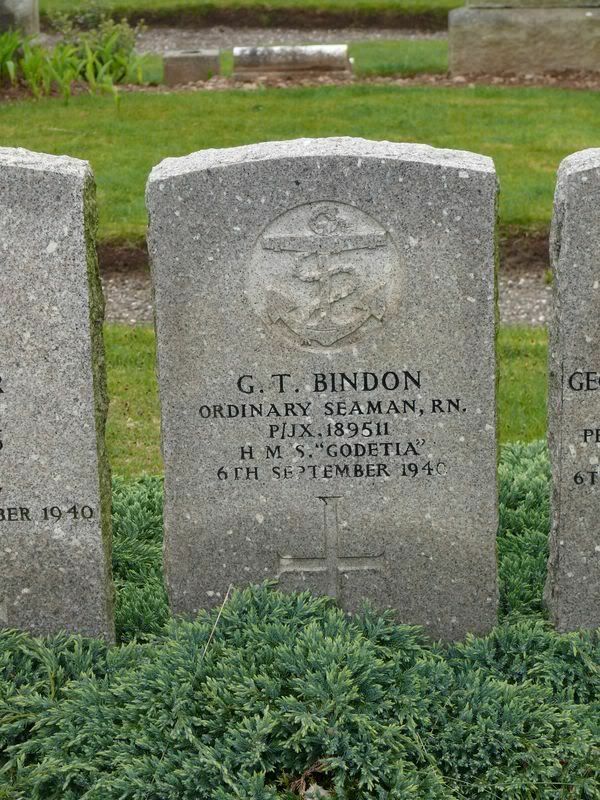 This is a private stone on a CWGC listed grave for the above. 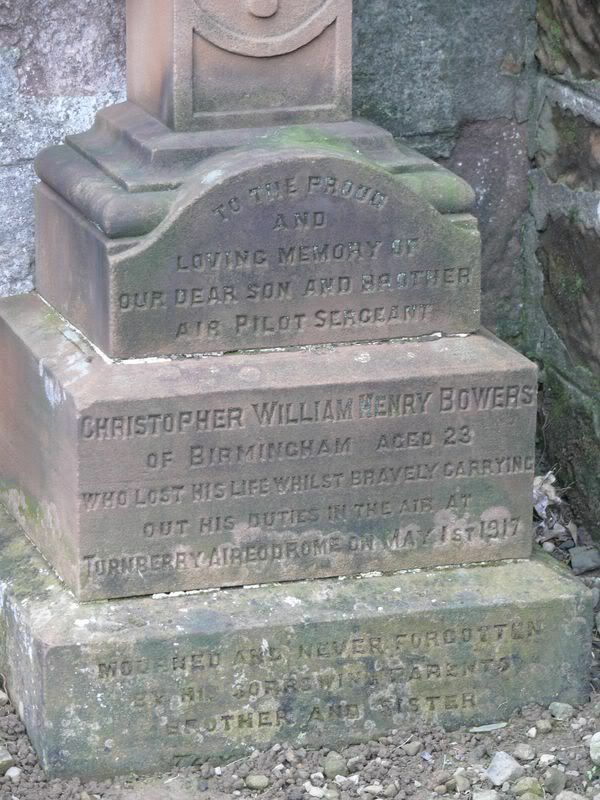 You will note that the inscription makes no mention of military service. Grave/Memorial Reference: Sec. P. Joint grave 72. 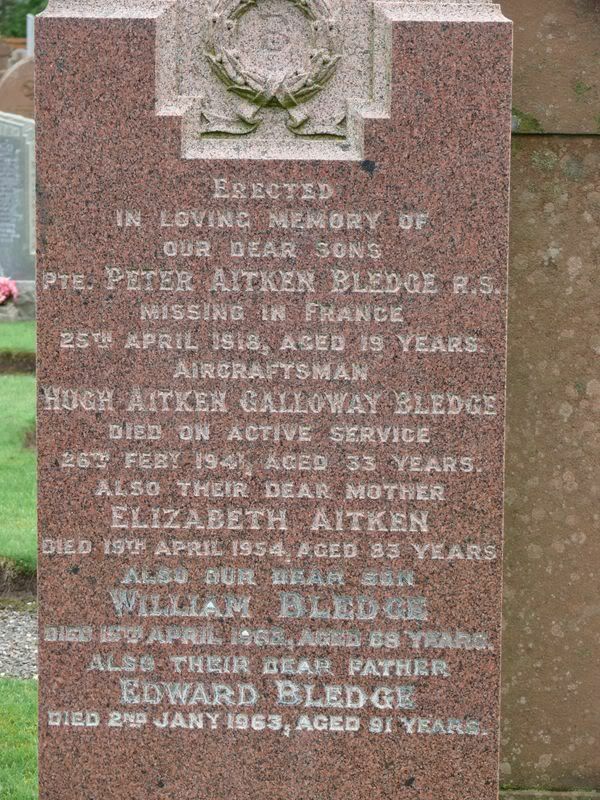 Additional information: Son of Edward and Elizabeth Bledge, of Girvan. Grave/Memorial Reference: West Div. Sec. J. 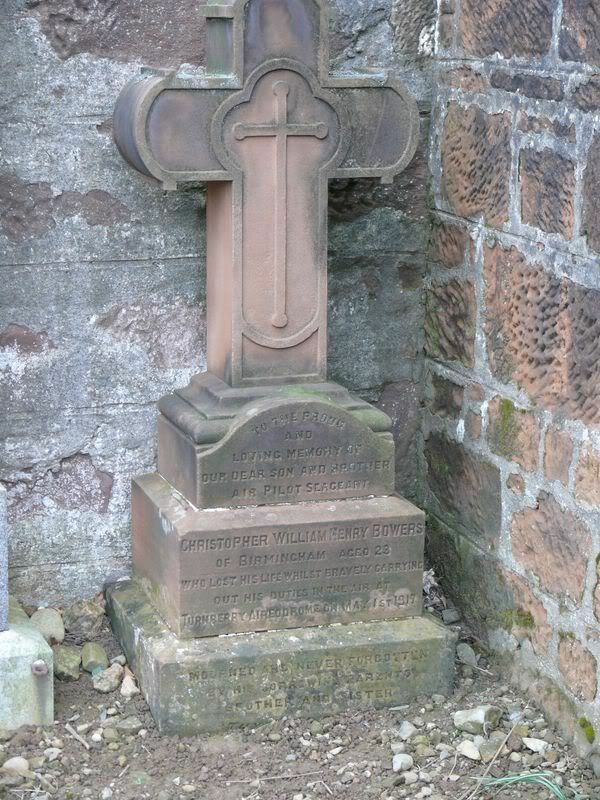 Grave 1449. 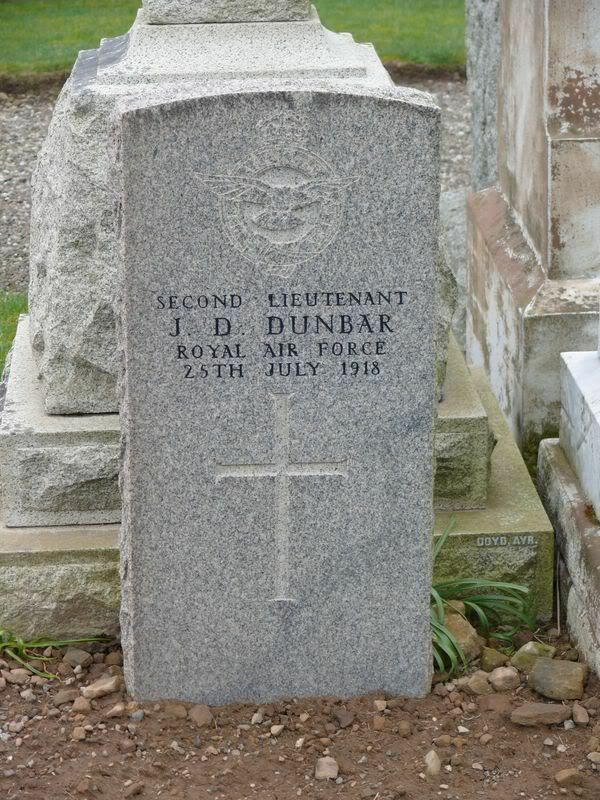 This is a private stone on a CWGC listed grave for the above. 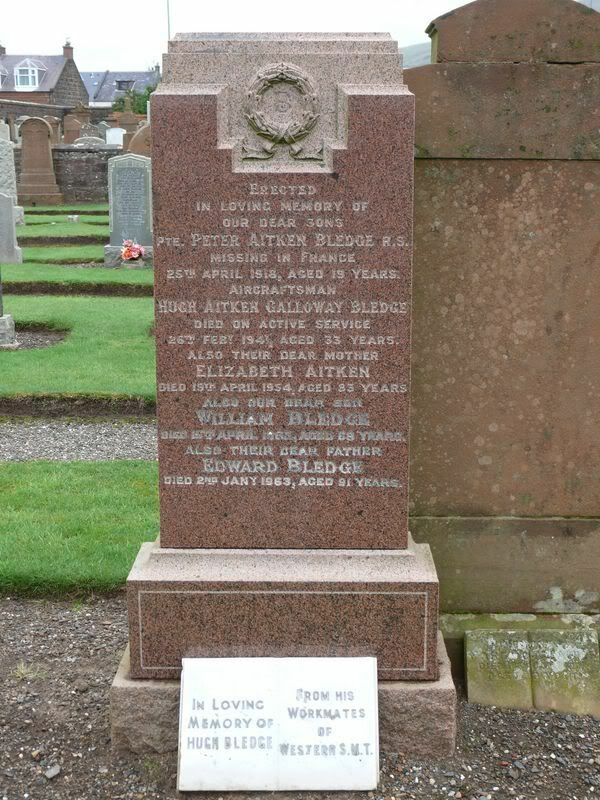 Additional information: Son of Edward and Elizabeth Bledge, of 83, Dalrymple St., Girvan, Ayrshire. 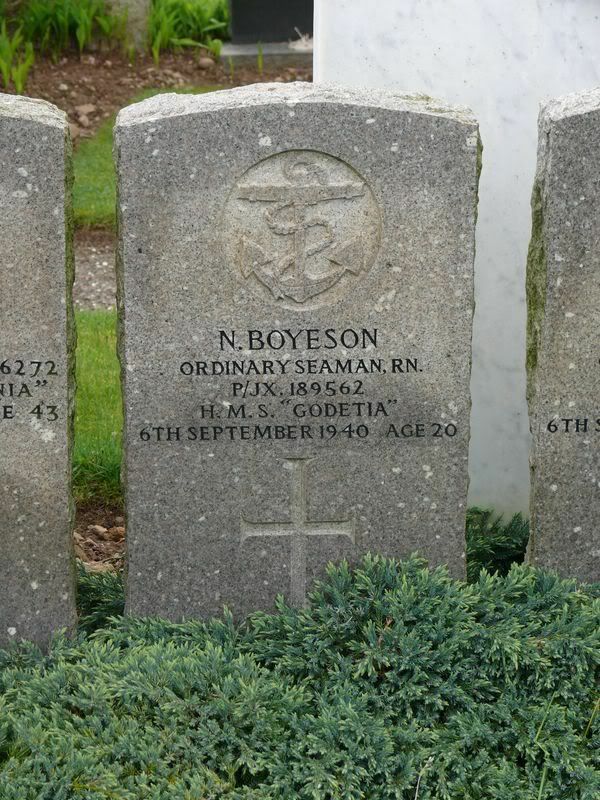 Additional information: Son of Ernest and Annie Boyeson, of Hull. Grave/Memorial Reference: Sec. 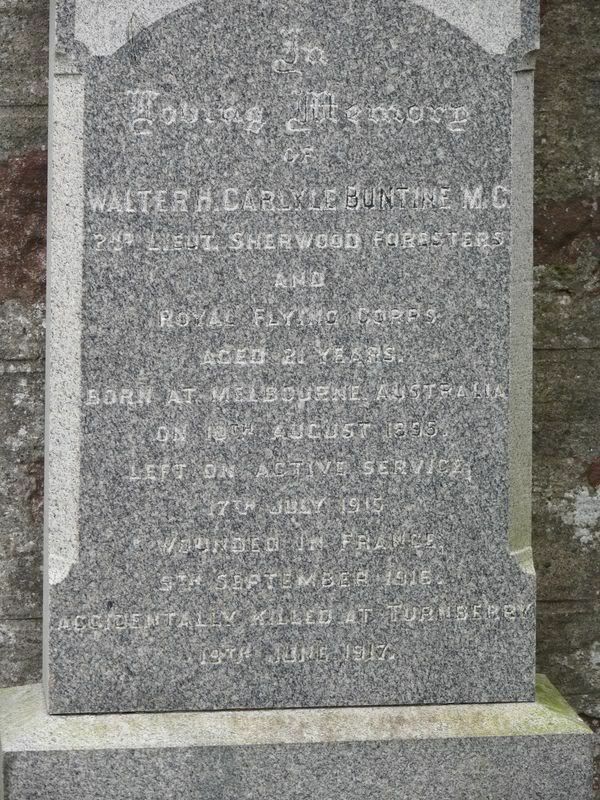 P. Joint grave 76. Secondary Unit Text: and 4th Bn. 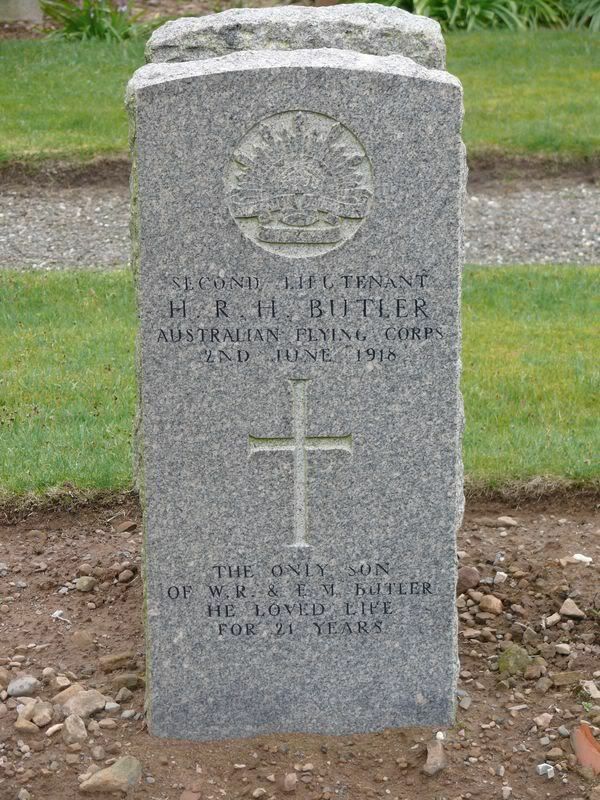 Additional information: Son of Walter Richmond Butler and Emelie Millicent Butler, of "Studley," Toorok Rd., Toorok, Melbourne, Victoria, Australia. 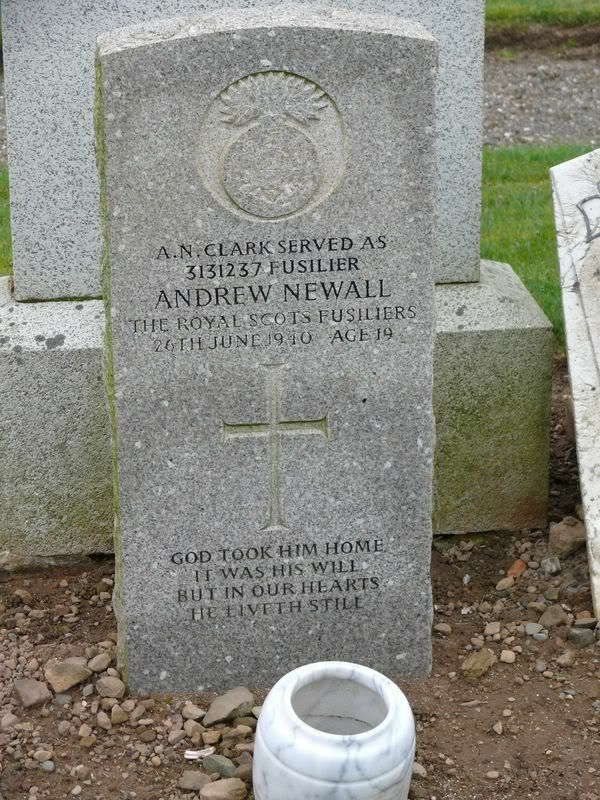 Additional information: (served as NEWALL, Andrew). 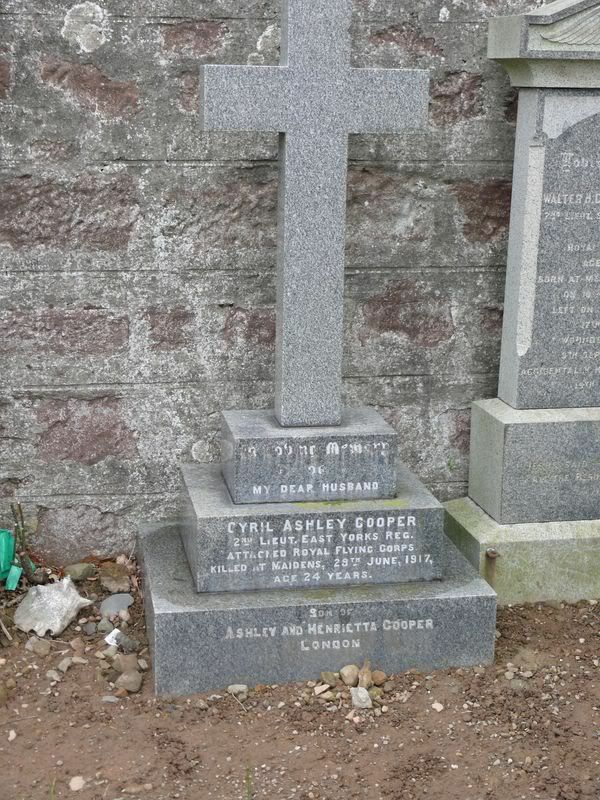 Son of Agnes Clark, and stepson of James Campbell, of Girvan. Grave/Memorial Reference: East Div. Sec. L. Grave 72. 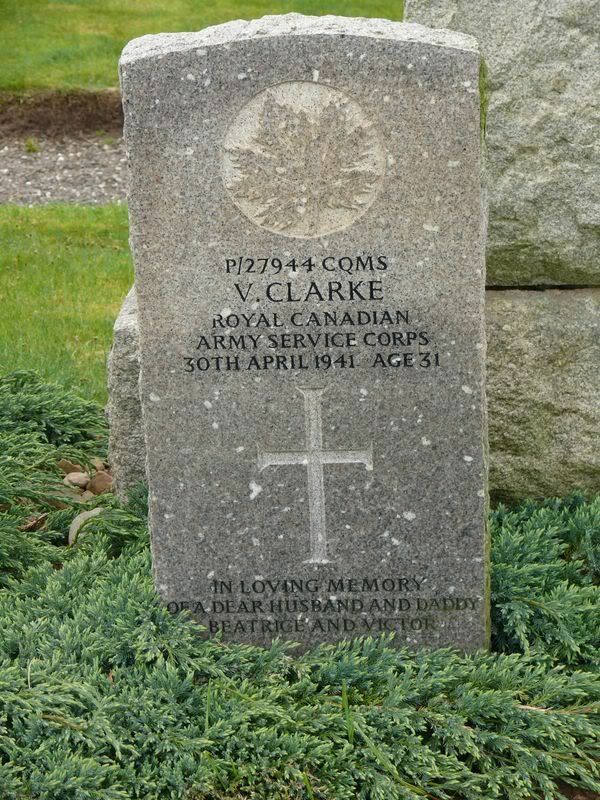 Additional information: Husband of Beatrice Estelle Clarke, of Ottawa, Ontario, Canada. Grave/Memorial Reference: Sec. P. Grave 68. 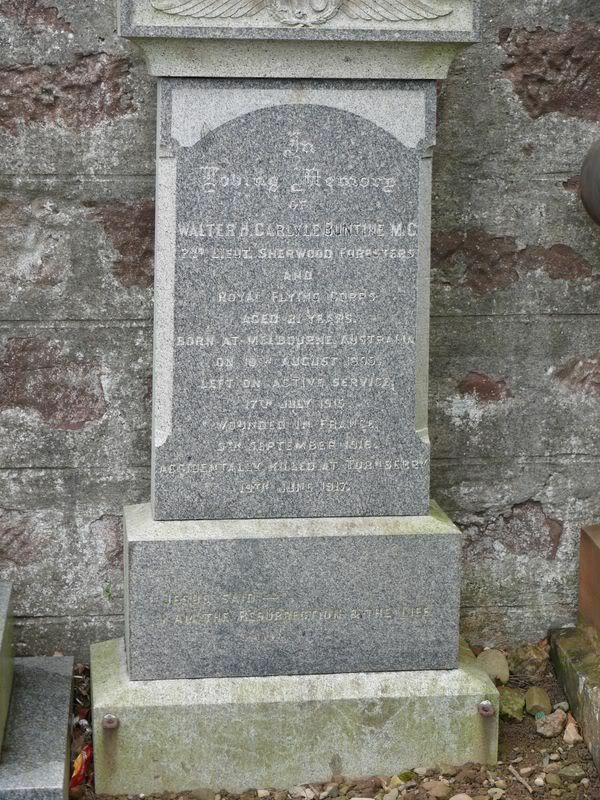 Additional information: Son of Robert and Mary Ferguson, of Girvan; husband of Mary Cooper Ferguson, of Girvan. Grave/Memorial Reference: East Div. Sec. I. Grave 15.